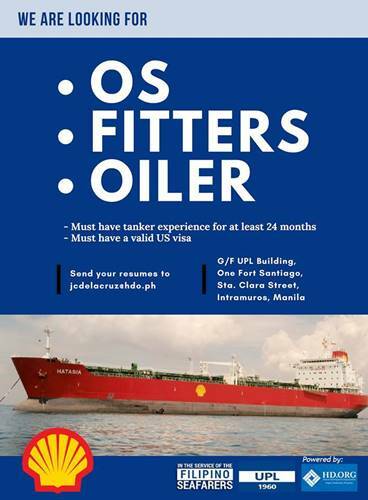 SEAMAN JOB INFO - Available maritime career for Filipino seaman crew join on oil tanker ship deployment Nov-Dec 2018. Interested applicants may submit their resume to jcdelacruz@hdo.ph with the position you are applying for as the subject. You may also submit your application through our office at G/F UPL Building One Fort Santiago, Sta. Clara Street, Intramuros, Manila. 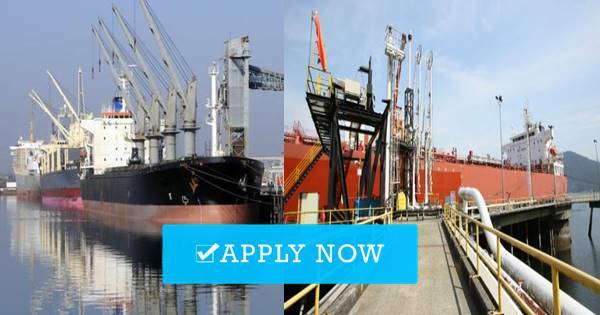 0 Response to "Hiring Ship Crew Rank Ordinary Seaman, Oiler, Fitter"